When he asked the reason for being fired, as his department was doing well, ‘president Zuma mumbled something about the SABC’. Former cabinet minister Siphiwe Nyanda on Thursday told the Commission of Inquiry into State Capture that he once met with the Gupta brothers while they were with Duduzane Zuma, the son of former president Jacob Zuma. Nyanda said the Guptas came to his office to introduce themselves and their tech company, Sahara Computers. He said that the brothers indicated a desire to see him again but not in his office. They then sent representatives to request another meeting. The Guptas are suspected to have wielded significant influence in the appointment and dismissal of ministers who could further their business interests. 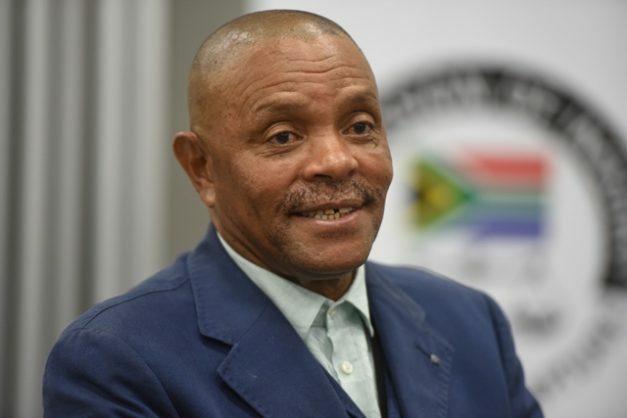 Under his portfolio as communications minister, Nyanda had oversight over the SABC, Icasa, Films and Publications Board and Brand SA, among others. “I met one of them who came to my office with Duduzane Zuma, and they introduced their company Sahara Computers. I didn’t suspect anything because there were many people who wanted to see me privately, but I always insisted on [meeting in] my office,” Nyanda said. Nyanda’s meeting with the Guptas fell through because he was fired by Zuma during one of the former president’s cabinet reshuffles in 2010. Earlier in the day, former finance minister Trevor Manuel testified that the reshuffle was aimed at replacing reluctant ministers with pliable ones who would work to further the business interests of the Gupta family within government. Nyanda said he had heard rumours that he would be removed but did not believe them because he thought he was performing well, had received credit for changes and there was general stability in the portfolios he oversaw. “I was in Durban and got called by someone in the presidency to go to Mahlamba Ndlopfu (The official presidential residence in Pretoria). I told them I was still in Durban and then got another call from president Zuma. He told me that I was being redeployed as ambassador to Germany,” Nyanda said. Nyanda also confirmed that Fikile Mbalula was informed by the Guptas of his pending appointment as minister of sports in 2010. Manuel testified that Mbalula had made an emotional confession during an African National Congress (ANC) national executive committee (NEC) meeting in August 2011, saying that the Guptas had called him to their Saxonwold mansion to congratulate him on the promotion. This allegedly took place before Zuma informed him about the shift to the new post. Mbalula was deputy minister of police at the time. Nyanda said the matter was never discussed in ANC structures after the NEC meeting. He said he did not recall Zuma reacting to the allegation raised by Mbalula. “I couldn’t understand why Mbalula would allege such a serious thing and not get any response to it. It was dangerous for the ANC,” he said. Nyanda concluded his testimony by relaying events that led to the so-called 101 stalwarts writing a letter to the ANC in 2016. This took place after former deputy finance minister Mcebisi Jonas disclosed that the Guptas had offered him a finance ministry job and a R600 million bribe. Nyanda said Zuma was very unhappy about their calls for him to step down, saying that he would serve until the end of his term because he was not voted for by them but by the branches of the party. On Friday, the inquiry will continue hearing testimony about alleged corruption at Eskom as the power utility’s treasurer, Andre Frank Pillay, takes the stand.